IMAGE BY © HOME BOX OFFICE, INC.
My decision to watch Flavor Flav over Tony Soprano was, at the time, a no-brainer. On March 12, 2006, I had two television options: a viewing party of the first episode of the final, and sixth, season of HBO’s hit crime drama The Sopranos or a solo session with the first season ender of VH1’s Flavor of Love, a Bachelor-style reality show starring Public Enemy’s Flav and his big clock. While I anxiously tuned in to see whether Flav would choose Hoopz or New York, it felt like the rest of the world was in New Jersey. That spring day in 2006 was the closest I came to an episode of The Sopranos, sitting out the show’s previous five seasons, ignoring its 111 Emmy nominations and glossing over its numerous accolades, including best-written television series of all time honours from the Writers Guild of America. But try as I might, I could never fully escape the show. It came up often in conversations, box sets caught my eye when there were still video stores to rent them from, and friends regularly shamed me for never having watched a single episode. A few months ago, I finally caved. A woman can only live on the Jersey Shore surrounded by teen moms for so long. As my Facebook feed filled up with Donald Trump stories and the world started to resemble a bad reality show, I craved good writing and smart storytelling. Top chefs and models, once my escape from the outside world, couldn’t save me from a reality that looked like an episode of The Apprentice gone off the rails. I hit play on the first episode and never looked back. Tony had his ducks, Carmela had her priest, A.J. had his baby fat, and I had a new favourite show. I may have been tardy to the party, but it still felt wonderful. 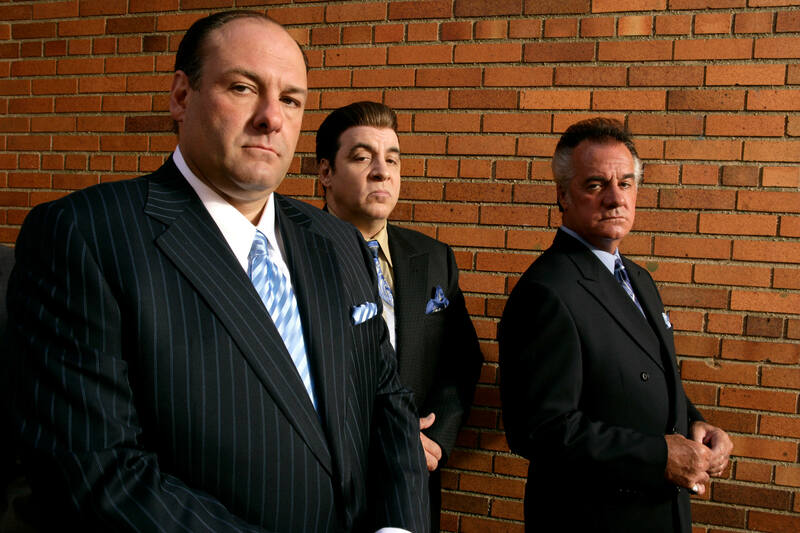 The Sopranos was definitely great TV, but there was another reason I loved it: None of my friends or family were watching it. To find mentions of the show on social media or the internet I had to use search functions and other Google wizardry. There was no spoiler alert shaming, no front-page analysis, and no water cooler conversation—what old people did before Facebook. It felt like I was the only one watching a show, and for the first time in a very long time TV didn’t feel stressful. Binge watching has turned television into a competitive sport. A marathon, but with, hopefully, less sweat. Now we’re not only judged by what we watch, but by how much we consume. How many episodes did you watch this weekend? How many in one sitting? Only one season, where’s your commitment to the cause? Before binge watching became fashionable, being camped out on my couch all weekend in dirty Roots sweatpants and a stained Mudhoney shirt, eating chip dip with my finger, and watching Laguna Beach was just called lazy. Now I am shamed if I don’t forgo sleep for days to mainline the new season of House of Cards the minute it is released. Netflix and chill has become anything but, well, chill. Watching The Sopranos alone I felt chill. There wasn’t a pressure to keep up so I watched at my own pace, often leaving the show for days at a time. Social media may make television feel like a communal experience, but it can also mean we spend more time watching Twitter than the actual program. I read Sopranos commentary, but I didn’t feel like I was cramming for an exam. Gone was that overwhelming morning-after need to impress my co-workers with analysis and behind-the-scenes facts. With each new season of The Sopranos I felt more alive, even as the mob hits piled up. I returned to scenes and episodes, savouring them in a way that’s impossible with binge watching. At last count I watched the scenes where Tony strangles Ralphie and he and Christopher deal with the aftermath at least 12 times. I cried alone on my couch when Adriana was killed, wondered aloud to myself whether Ben Kingsley actually would have been right for Cleaver, and cringed along with my cat at the homophobia Vito experienced. The Sopranos was mine and mine alone. It was bliss. When I finally got to the last episode I waited. This June marks the 10th anniversary of the finale so another day or two didn’t matter. “Not now Tony,” I would say setting my remote control on the coffee table. There was no build-up, no must-see TV moment. It didn’t bother me that I already knew how it ended and that some obsessed fans of the show can’t hear “Don’t Stop Believin” without feeling culturally short-changed. I loved the ending, but I haven’t talked to anyone about it. It is still all mine. I have decided to get into The Wire next. I heard it’s good and it has that annoying guy from The Affair. Lisa Whittington-Hill is the publisher of This.